Meyomessala, Cameroon – Meyomessala is a small forest community in Cameroon‘s South Region among several settlements on the edge of a biodiversity-rich UNESCO World Heritage Conservation site, known as the Dja Faunal Reserve. It is home to endangered species such as western lowland gorillas, chimpanzees, leopards, forest elephants, giant pangolins, bongo antelopes and buffalos. Nkoulou Bedjeme, an elderly woman, is one of 9,500 Bulu people and indigenous Baka pigmies whose ancestors have lived with the wildlife species for more than 100 years. Two years ago, her husband and brother died, leaving her to take care of 25 children. Her livelihood depends on farming, hunting, fishing and gathering forest products. Like several others, she says, her problems began when the government allocated vast concessions within and around their villages to a Chinese state-owned chemicals company, Sinochem International, about 10 years ago. “In the beginning, they made lofty promises and we didn’t think we would find ourselves in the mess we are in today. Who would have thought our farmlands would be taken away? Worse still, some people were given insignificant compensation, others like me, nothing,” she claims. But according to Bedjeme, the company’s rubber plantations are encroaching. They were planned to replace forest land six kilometres away from the villagers’ farmlands but the area was extended up to their backyard. “Two kilometres away from here, you would find the rubber plantation,” she says. She removes from her handbag a copy of a complaint she had written to the government in 2012. 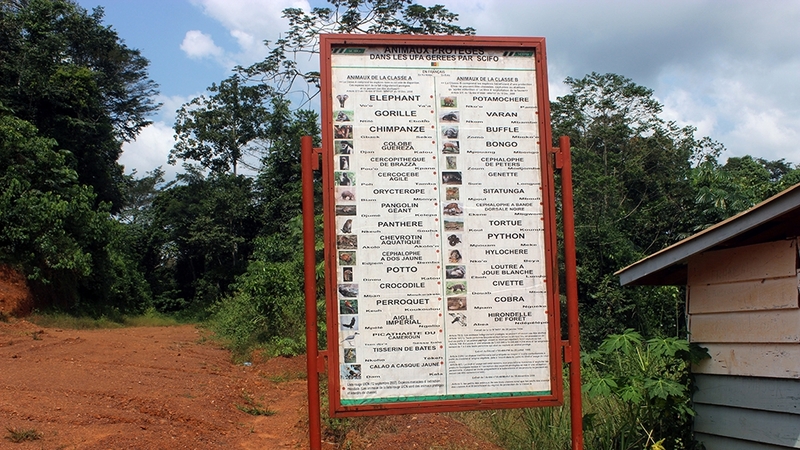 Civil society organisations, such as the WWF, Green Peace and the Center for International Forestry Research (CIFOR), have raised concerns over the social and environmental impacts of rubber projects implemented by Sud-Cameroun Hevea SA (SudCam), a local subsidiary of the Singaporean Halcyon Agri Corporation, of which China’s Sinochem International Corporation holds majority shares. Halcyon Agri Corporation is the world’s largest rubber processor and supplies the world’s leading tyre manufacturers, including Bridgestone, Michelin, Pioneer and Goodyear. Our medicinal trees are gone and we do not have hospitals. They have come up with some make-believe health scheme that is not helpful to any of us. A report by Greenpeace in July said between 2011 and May 2018, the company cleared more than 10,000 hectares of dense rainforest to extend the giant rubber project. In the course of implementation of the project, 45,000 hectares more of forest would be cleared. Satellite images reveal that from November 2017 to March 2018, about 1,000 new hectares of tree cover were affected, according to Greenpeace, which accuses the Chinese company of “a typical example of land grabbing”. Indigenous people who lived in the forest were displaced without compensation or adequate resettlement plan, Greenpeace said, claiming the “eviction” of forest people violates the UN Declaration on the Rights of Indigenous People. It also says the Baka pigmies’ right to consent was violated and that the community’s tombs and sacred sites are being destroyed. In an email to Al Jazeera, a Halcyon reprepsentative said the company has established a sustainability commission, adding: “I trust this shows that we are fully committed to a truly sustainable natural rubber supply.” However, Halycon’s chief executive, Robert Meyer, was unavailble for further comment. “The Bakas have been forced out of their forest homes into our communities. I have 123 of them in my village. Some are scattered in other neighbouring villages. We are obliged to share our already strained resources with them. Everything here seems new to them, they are just lost,” Ekotto Joseph, traditional ruler of Kidjom, one of the villages bordering the rubber project area, told Al Jazeera. Nanga Armand Marie, the traditional ruler of Ekok village, said consultations the company organised with community members were insufficient. A hunter who refused to be named said the felling of trees has sent animals away and brought snakes closer to their homes. 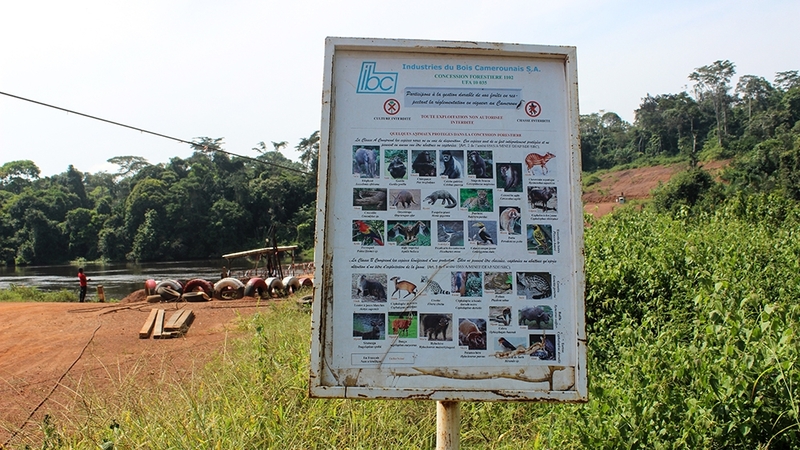 Research by CIFOR in 2017 alleged that the Cameroon government had violated a law that stipulates certain applications for development can only be submitted for areas that are unoccupied or unexploited, by granting two five-year temporary concessions of 45,000 hectares to Sudcam in 2008. CIFOR suggested this was influenced by a member of Cameroon’s political elite who owns 20 percent of Sudcam’s capital. Sudcam and Louis Paul Motaze, Cameroon’s former minister of economy, planning and regional development reportedly signed a secret deal in 2011, binding for a period of 50 years, renewable for 25-year periods. Motaze, who now serves as minister of finance, was unavailable for comment. Greenpeace claimed the deal allowed Sudcam to develop a large-scale plantation and downstream operation in the protected area included the right to expand its production zone. In an apparent bid to ease concerns, on November 20, Halcyon Agri launched a “sustainable natural rubber supply chain policy for Cameroon”. But for Bedjeme, the widow in Meyomessala, the company’s promises offer little hope.